AT MONO, WE FOCUS ON A COMPLETE EXPERIENCE. In doing so, we aim to highlight the relationship between raw nature, our ingredients and our cultural history. Our research lab is directed by Michelin star experience chef, Chef Zielinski, alongside Italian foodie Joseph Crolla and a sensational team. Expect to encounter a multi-sensory experience; visual, textual, sound, and all kinds of stimuli, as well as a good dose of contemporary classic synthesis on what we love most: Food. Simplistic and natural interiors, complementing the effortless and fresh cuisine that follows the roots of culinary principles in Italy: excellent quality ingredients, honest cooking and the belief that food is culture. Our aim to deliver tasty Italian food with a progressive approach; locally sourced foods, prepared with modern Italian flare. No muss, no fuss. Simplicity with quality comes first, beneath lies only great expectations. What a wonderful lunch - one of the best I've ever had! The Dining Experience is truly that - a creative mix of tastes, textures and colours that blend yet contrast beautifully. Who would have thought that warm aged Gorgonzola would benefit from being dusted with cocoa? But it does! Every dish was delightfully presented, and served with quiet attention and a smile every time, but no intrusion. The surroundings are simple - wood and neutrality, but  they breathe quality, and everything was spotlessly clean. I've already rebooked for a birthday lunch in a couple of weeks' time! Really enjoyed the experience. Innovative food, beautifully cooked and presented, although pineapple dessert was a bit disappointing. Excellent, albeit not inexpensive,  wine list and attentive service. A bit on the pricey side but would recommend for a special occasion. Another fantastic experience at Mono. Loved the sweet and savoury desert. Genius. Keep up the excellent work. Wonderful lunch: have written a Trip Advisor review and rated you 5 star. I’ll be back very soon. Fantastic, thanks to the wonderful staff for a very enjoyable experience. Fairly formal but modern setting. Small portion size and a little too salty at times. The presentation was utterly incredible and the service exemplary. Do not skip dessert - incredible finish. Fantastisk mat, mysig atmosfär och superb service! Nytänkande och jordnära på samma gång! Absolutely fabulous.........I've been trying to track down the chef/proprietor for about 2 years since he closed his last restaurant..........I was devastated as he is such a talented chef. I put him in the similar category as Tom Kitchin.......extremely talented with extraordinary taste buds which allow for fabulously flavoured and textured food........bit of a genius really !! Love his food !! I would imagine a Michelin star won't be far away !! Fantastic meal and lovely staff, friendly and super accommodating. Huge shout out for this gem! Interesting and tasty meal. Delightful waiters. I was dining alone and they both left me in my own space and looked after me - just the right combination. The food is quite pricey. The lamb dish - would have benefitted from a strong green vegetable. Amazing food, would highly recommend. 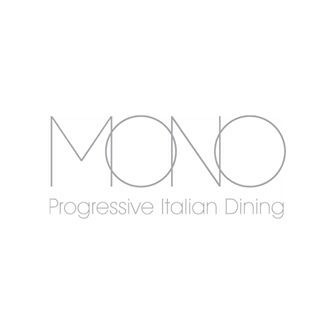 We had an absolutely amazing time at Mono, a brilliant dining experience. The guys who served us were so lovely and welcoming. We have been recommending to everyone we’ve spoken to since We left! We will definitely be back! Service was excellent. Food fantastic. Hi. We would like to thank you for a fantastic dining experience. The food was delicious and the service top notch! We will definitely be back and will recommend you to our friends and colleagues. The service is first class. The food is high quality and delicious. The place is very comfortable. My friends and I will definitely come back.